Sign up and receive Property Email Alerts of Freestandings for sale in Silver Lakes Golf Estate, Silver Lakes Golf Estate. Beautiful, modern 4 bedroom home. All bathrooms with bath and shower en-suite. Upstairs kitchenette and pajama lounge with a glorious view over the golf course. Breathtaking entrance with crystal chandelier and sweeping staircase. Open plan entertainment area with bar, lounge, kitchen and breakfast nook. Entertainment area opening with glass stacking doors to pool and garden area. 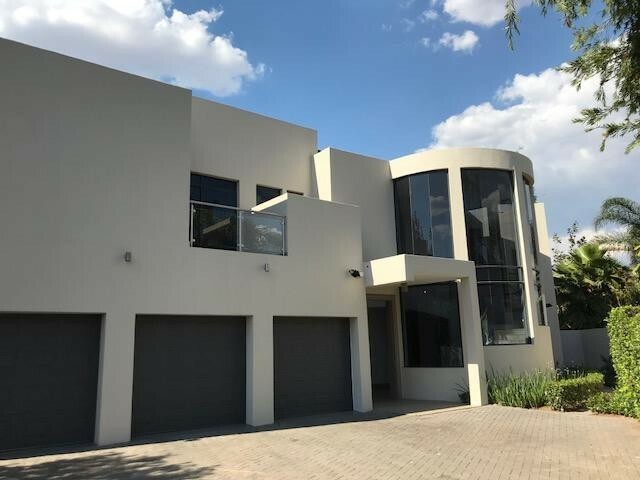 This breathtaking property in located on the golf course of the very prestigious and secure Silver Lakes Golf Estate. Sign-up and receive Property Email Alerts of Freestandings for sale in Silver Lakes Golf Estate, Silver Lakes Golf Estate.